Check out this insane triple cast OctoDunny resin figure by Josh Kimber, Clutter and Kidrobot! 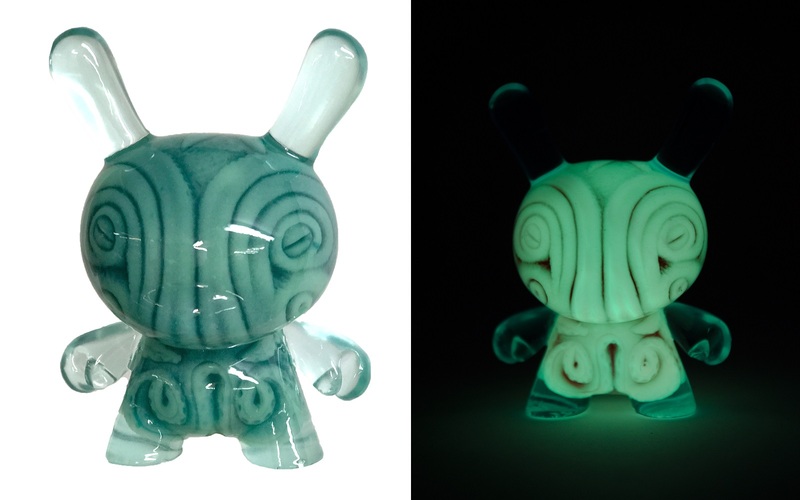 This 5” Dunny resin figure is triple cast, with a solid green interior covered in a glow in the dark interior skin and a blue tinted exterior cast. The Blot really loves the glowing interior octopus sculpted by Kimber. This green GID colorway is limited to just 25 pieces and will be sold exclusively at PIQ in New York City. It will go on sale at 5pm today, Friday, May 12th, at PIQ Grand Central and PIQgifts.com. The OctoDunny and a second triple cast Dunny release coincide with the installation of the Five Point Festival tribute window at PIQ Grand Central.